The European Court of Human Rights (ECHR) has asked for clarification over how Russia applies its religion law to foreign citizens, reports news agency Interfax. The case that triggered their interest was that of an Evangelical Christian of Indian descent, who was one of the first people to be deported under the law, which came into effect in July 2016. Viktor Immaneul Mani, who had lived in Russia for 15 years and has a Russian wife and daughter, was deported in February 2017. He had led a church in Naberezhnye Chelny in western Russia and was prosecuted and forced to leave the country following a statement made to police by a local resident who had visited the church and, after the service, took away a book and religious brochures. Prosecutors said Mani had violated the law for “conducting missionary activity in violation of the requirements of legislation on freedom of conscience and freedom of religious confession, and on religious associations by a foreign citizen”. He was also fined 30,000 roubles (US$530). Mani was allowed to return to Russia because his wife won an appeal to the Russian Supreme Court which, in November 2017, overturned the deportation order. 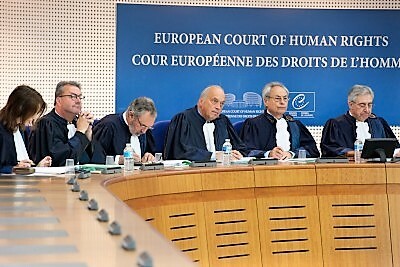 Damir Gainutdinov, a lawyer from Russian human rights group Agora who represents Mani, told Interfax that the ECHR had asked whether Russian courts take into account the well-being of the family remaining behind when a person is deported, and how the religious law differentiates between Russian and foreign citizens. Mani’s case was one of the first applications in Russia of the widely-criticised Yarovaya Law, which, critics say, is being used to stop Christians and other religious groups from freely practising their faith. Dubbed the “anti-missionary law”, it was said to have been adopted to fight extremism but in reality has been used to prosecute individuals for posting worship times on websites or holding prayer meetings at home. Other Christian foreign citizens have been prosecuted under the Yarovaya Law. Americans Donald and Ruth Ossewaarde left Russia after 14 years when Donald was prosecuted and fined 40,000 roubles (US$700) for holding religious services at their home. Ghanaian Ebenezer Tuah was fined 50,000 roubles (US$900) for conducting baptisms in a hospital swimming pool.